Over the years there has been a lot of debate among whovians as to what the Doctors actual age is. One minute he is 400, then he is 1000 then he is 700 then 953 then 900 again. Steven Moffat himself has said that the Doctor himself isn’t sure what age he is due to the fact that he regenerates and travels through time which is fair enough. For all we know Gallifreyan years may not be the same length of time as earth years. A Gallifreyan year may be equivilant to 10 earth years. Still for fun and because I am bored I have decided to based on the information seen in the show try and work out what the Doctors real age is, inconsistencies and all. How Long Can Each Incarnation Live For? A good way of determining the Doctors age is by looking at how long a single incarnation of a time lord can live for. Now its never said for sure how long each incarnation of the Doctor can live for, but we can work it out based on 11. 11 was about 11 hundred years old at least when he died of old age. He had spent two hundred years on his goodbye tour in series 6 and then spent another 900 years on Trenzalore. He may have lived an extra hundred years or so in between series 6 and 7, but lets just say he was about 11 hundred years old when he died. So that’s the maximum an incarnation of a time lord can live for. This means that a time lords total life span is about 14300 years. As you will soon see however the accident prone Doctor who has rattled through his incarnations is actually quite young for a time lord. How Long Did Each Doctor Live? The First Doctor lived for 11 hundred years. we can tell this based on the fact that he died of old age much like the 11th Doctor. Therefore he must have lived as long as he did. There is a bit of a contradiction here however as the Second Doctor says that he is 400 years old. This can be explained however by the fact that he felt younger after having been renewed in a younger body. Look at it this way suppose when you were 80 years old you were youthed and became a twenty year old again. You might say “I’m twenty” when giving your age as you would look and feel like a twenty year old. Technically yes you would be in the body of a twenty year old, but you would actually have been alive for 80 years. Similarly the Doctor was actually 1100, but after his regeneration which made him younger he considered himself a 400 year old. This would also explain when the Third Doctor refers to himself as being over 1000 years old. On that occasion he was referring to his actual age rather than the age he had been regenerated to. The Second Doctor meanwhile lived for only 3 years what we saw on screen. We now this because there was never a period where he was not with a human companion, Ben, Polly, Jamie, Victoria and Zoe. None of them were shown to age during their time with the Doctor so we can assume that his whole life was three or maybe 5 at the most years. Of course this is not including the season 6B theory. Season 6B was created by Paul Cornell to explain some of those glaring plotholes and errors in the later multi Doctor stories. In the Five Doctors the second Doctor knows that Jamie and Zoe had their memories wiped of their travels with him and were sent home. Thing is he couldn’t know that as Zoe and Jamie’s memories being taken by the Time Lords according to The War Games happened mere minutes before his regeneration and exile to earth. Also in The Two Doctors he is shown to be working with the time lords even though he was on the run from them at that point in his life, and Jamie knows about them too when he never learned about the Time Lords until The War Games. 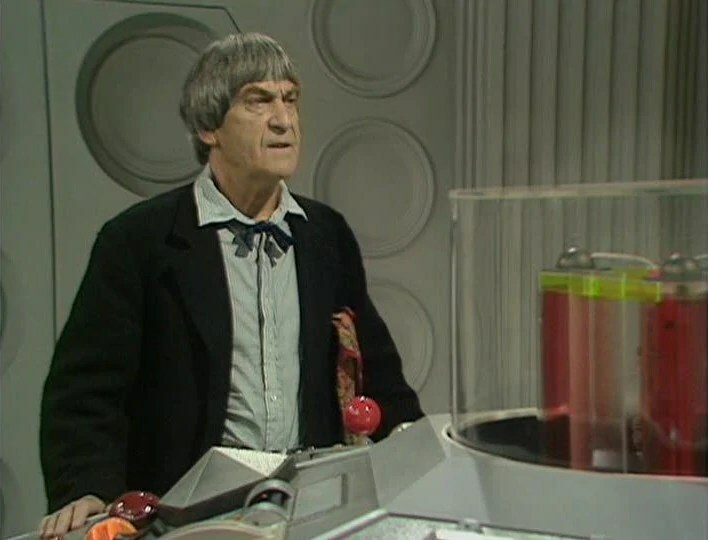 Plus there is also the fact that both Troughton and Hines look considerably older and the rather stupid moment where the 6th Doctor asks his predecessor where he managed to get a statini remote control. Season 6B gets round these errors by stating that just before the time lord high council changed his appearance at the end of The War Games the Celestial Intervention Agency captured him and offered him a pardon provided he became an agent of theirs. With no other choice the Doctor agreed and spent many years as their agent and later picks up Jamie and Victoria as his companions at some point. The Three Doctors, The Five Doctors and The Two Doctors all take place in this time period for the Second Doctor. Eventually however the Doctor managed to escape from them, but they later captured him and deciding he was too much of a loose canon handed him back over to the high council. The high council wiped his memory of his time with the CIA and completed his regeneration and sent him to earth in exile. I have always rather liked this theory and it does explain those errors in the multi Doctor stories rather nicely. It explains how the Second Doctor knows about Jamie and Zoe losing their memories in The Five Doctors and how Jamie knows about the Time Lords in The Two Doctors, why the second Doctor and Jamie look so much older and finally how 6 does not remember being given the statini remote control when he was in his second incarnation. Sadly however season 6B has never been made canon, though as is this case with most spin off material there is nothing in the show to contradict it itself and so therefore if you want to consider it canon then it is. Terrence Dicks has embraced it meanwhile and even set a second Doctor novel during the season 6B timeline. If we take Season 6B as canon then the Second Doctor lived for well over 200 years. 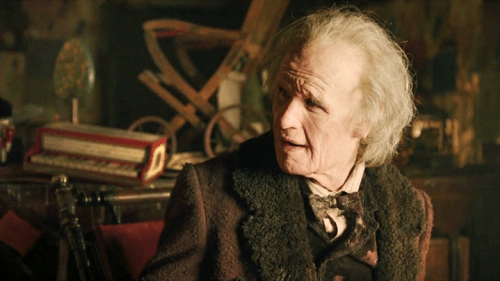 We can tell this based on how aged he looks in The Two Doctors. Remember that the 11th Doctor did not age at all in 200 years in series 6 so therefore in order for the second Doctor have aged as visibly as he did he must have lived for a lot longer than that, though for how long I don’t know, lets say 400 years as that’s how long it was before 11’s hair began to get a bit grey in The Time of The Doctor. Whatever the case whether you consider Season 6B canon or not he did not remember these years due to the Time Lords wiping his memory so to the best of his knowledge his second incarnation lived for just 3 or so years. 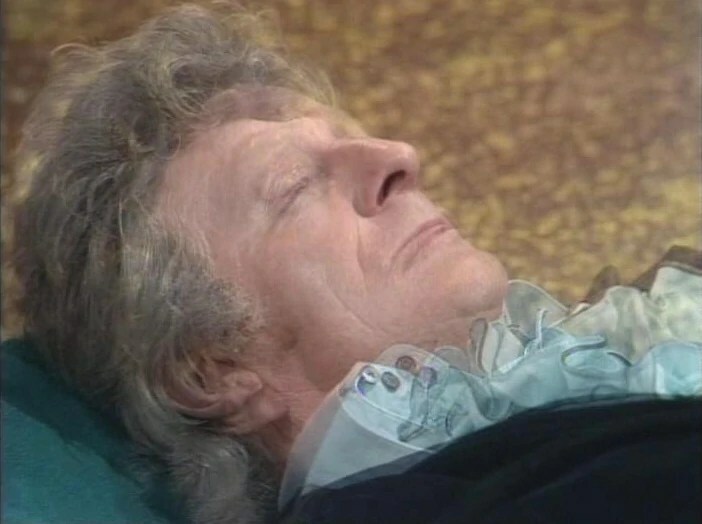 The Third Doctor meanwhile lived for 300 years. We can tell this based on the fact that the Fourth Doctor said he was 700 years old when he was at the beginning of his life. As the Second Doctor said he was 400 this means that 300 years have taken place since them. Now these 300 years must have taken place in the Third Doctors life. We know that the Second Doctors whole life that he remembers was spent with Jamie and Jamie didn’t age 300 years when he was with him. Thus it must have happened in 3’s time. There is a gap for these adventures to take place in The Third Doctors life. In between The Green Death and The Time Warrior the Doctor is free to travel the universe and he has no companion so he could have easily had 300 years worth of adventures. The Fourth Doctor meanwhile must have lived close to 200 years. We know this because the Sixth Doctor states that he is 900 at the beginning of his life. Now again these two hundred years must have taken place in the Fourth Doctors life. The Fifth Doctor could only have lived for 3 years as much like the Second he was never without a companion none of whom aged when they were with him. Thus these two hundred years take place largely in 4’s life. The Fourth Doctor has two large gaps in his life without a companion and added to that Romana is a time lady and therefore has as long a life as he did. The Sixth Doctor meanwhile lived for exactly 53 years. The Seventh Doctor states mere minutes after he has regenerated that he is 953. Therefore since 6 stated that he was 900 at the start of his life he lived exactly 53 years. Now its impossible to tell how long 7 and 8 lived for, but since both McCoy and McGann had aged visibly by their last appearance as the Doctor, Doctor Who 1996 and The Night of the Doctor, (as both were made many years later). Since it takes over 400 years for an incarnation to age, both of these incarnations therefore lived for over 400 years. The War Doctor meanwhile as he died of old age lived for 1100 years just like the First Doctor. Now here we run into a problem as The Ninth Doctor says that he is 900 years old. An obvious contradiction to what we saw before. A possible theory for this could be that as he shunned the War Doctor from his memory he wiped all the years he was him from his memory too, though as the 8th Doctor was so closely linked to War, having decided to become him, maybe he decided not to count the years he was 8 either and rounded his age off roughly at where he was when he was 7 in the 900’s. The Ninth Doctor meanwhile we know lived for one year. The 10th Doctor states that he is 900 years old at the start of his life so therefore 9 lived just one year. Added to the 9 is always travelling with Rose too. Though he may have been on adventures without Rose before hand clearly he had not been on that many as he mentions having recently regenerated in Rose. The Tenth Doctor lived for just 6 years. The 11th Doctor says that he is 906 in his first year, but this is not including his year in the negated timeline in The Last of the Time Lords. Therefore the Tenth Doctor including that negated year lived for 6 years. Finally the Eleventh Doctor as we know lived for 11 hundred years. So taking all of this info into account. Like all celebrities the Doctor lies about his age. In all fairness though he is much younger than a time lord his age should be. He has lost about 7037 years of his life due to his dangerous lifestyle. Well argued. I wouldn’t have come close to this number based on the straightforward ages used by the Doctor in the series, but I’m convinced enough now. Season 6B brings me a lot of peace. The Second Doctor’s pre-knowledge of how his companions end up never made sense to me either. I was devising some kind of metaphysical explanation–like the Second Doctor was traveling to meet his other selves on a different plane of existence–but your solution is much neater. I also like how you’ve figured out the regular lifespan of a Time Lord. It sure does put the Doctor’s reckless lifestyle in sharp contrast. Always enjoy your posts, I’m just behind on responding. Great to hear from you again. Don’t worry I myself have been busy hence why I have only made 3 posts this whole month! I have a lot to catch up own blog wise. I’ll be there! Quiet, maybe, but a very happy reader. Really, Burrunjor, you’ve got a true gift for analysis, expression, and picking a darn good topic.